Behavior is communication. That's it. All you need to know. If you can remember to wonder "What is their behavior telling me?" instead of, "What's wrong with this child's behavior," you'll be well on your way to becoming a compassionate, insightful teacher. THE MOST IMPORTANT ADVICE I HAVE FOR ANY YOUNG MUSICIAN IS TO IMMEDIATELY STOP THINKING OF YOUR FELLOW STUDENTS AS YOUR "COMPETITION." SOON THEY WILL BE YOUR MOST VALUED FRIENDS AND COLLEAGUES. A college freshman recently wrote to me and asked if I had any advice for an aspiring young pianist. In the following advice, I'm not factoring in the "state of classical music." Music will always be a part of our lives. Some people will earn their living as musicians. I consider myself fortunate to be one of them. Imagine yourself as a 50-year-old. I know it's hard, but try. It will happen. And sooner than you can possibly imagine. If you continue on your current path, where will it take you? If you're considering a career that includes large amounts of travel, I suggest repeated viewings of Planes, Trains and Automobiles. Remember, it was made in the days before hourlong screening lines at airport. If you like to play Chamber Music, do you also have excellent social skills? How's your Emotional Intelligence? The hardest part of holding an ensemble together isn't musical. It's getting along with the same people day after day doing work that can be tedious, exhausting and often under-appreciated. Throw in some travel and you've got a recipe for disaster. Have you learned to give and receive criticism with skill and tact? Both are important. If you don't say anything of critical substance, rehearsals will be smooth and silky. Of course, your ensemble will sound atrocious, but you'll all feel great during the rehearsals. If you hope to teach are you taking full advantage of every opportunity to learn to be the best teacher you can? Take that pedagogy class seriously. It may be the only genuinely practical class you take in college. Being able to recite and discuss the Beethoven Sonatas by Opus number and nickname may seem crucial at the moment, but you may wish you'd listened when your pedagogy teacher was discussing the differences between the piano methods of Faber and Piano Town by Diane Hidy & Keith Snell. You'll wish you knew names like Frances Clark, James and Jane Bastien, and William Gillock. Not to mention Robert Vandall and Elissa Milne. What kind of music do you like to write? Can you find a way to market that music? With the internet available now, the opportunities for self-marketing are endless as long as you're willing to do them. Finding a publisher and persuading them to hire you is no longer the only way to market yourself. Are you someone who likes to be alone or do you like more social situations? Do you want to live in a big city or somewhere more rural? Is that location important to you? Do you want a relationship and/or a family? I gave up on the idea of a university teaching job because I was unwilling to live anywhere but San Francisco. Even for a year or two. That limited my options. I have colleagues, however, who are extremely happy in places I would never want to live. I'm thinking of Michael Gurt, Sandra Shapiro, Boris Slutsky andThomas Hecht, to name only a few. These are all brilliant musicians who live places I would not. (Baton Rouge Louisiana, Cleveland Ohio, Baltimore Maryland and Singapore respectively.) One of my favorite people in the world, Frederic Chiu, lives with his wife, Jeanine, at Beechwood Arts in Connecticut. I could live there, but I'll have to settle for visiting. I earned money the summer before I went to Juilliard as a singer/dancer at an amusement park. The performing experience was invaluable, and it gave me great appreciation for tap dancers.I'm fourth from the right. Yeah. Really. It was a very long time ago. I played a lot of concerts after I won the American Pianist Association fellowship. After while I didn't like being on the road. I wanted to have a family. I loved teaching. Each person is different. 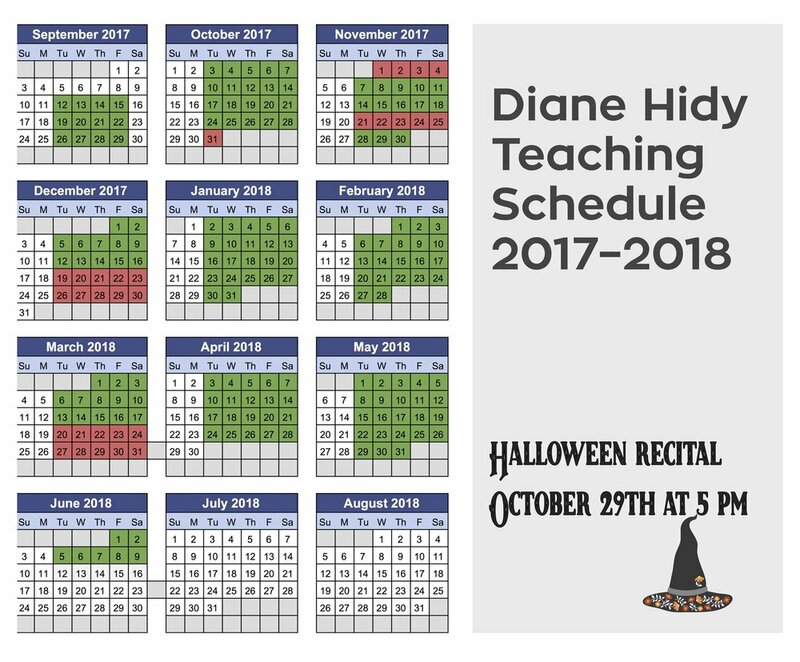 I have made a career by recording, teaching, playing concerts and writing teaching materials for pianists. Sometimes I also play for theater and do improv with an amazing group of improvisers. When I was at Juilliard I tried to hide things like my hidden talent for playing by ear and not really liking Liszt. Now I just laugh and say, "Hey, you know what? The best Liszt is any Liszt played by someone else!" Wink Martin, the host of Tic-Tac-Dough. I won $14,000 in cash and prizes in the fall before I entered the Van Cliburn Competition. I've also worked as an accompanist, paid vocal soloist, a side-kick on a live radio show (I did this for 10 years and I met my husband there!) and on-stage in a theater production with Bebe Neuwirth. I even earned the money to prepare for the Van Cliburn competition by going on a game show. There is no "right" way. There is only "your" way - which will only work for YOU! YOU'LL FIND YOUR WAY, BUT YOU HAVE TO FIND IT BY BEING YOURSELF AND NOT WHAT ANYONE ELSE THINKS YOU SHOULD BE.